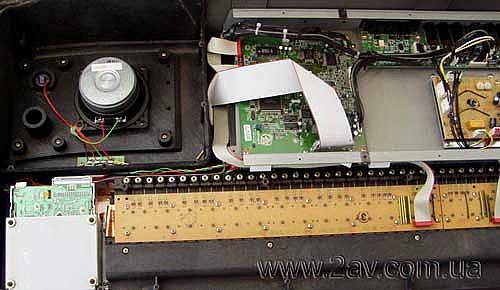 THE ORDER OF INSTALLATION OF THE DEVICE HDM IN INSTRUMENTS ROLAND E 500. 2. Unpack HDM and musical instrument, farther we will call it just instrument. 3. 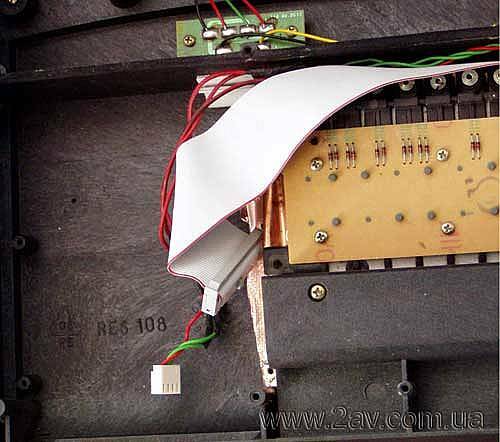 Unscrew nuts on the lower cover, invert the instrument, put it with the keyboard toward you and accurately open it as shown on the picture. 4. Unscrew bolts indicated on the picture. 5. 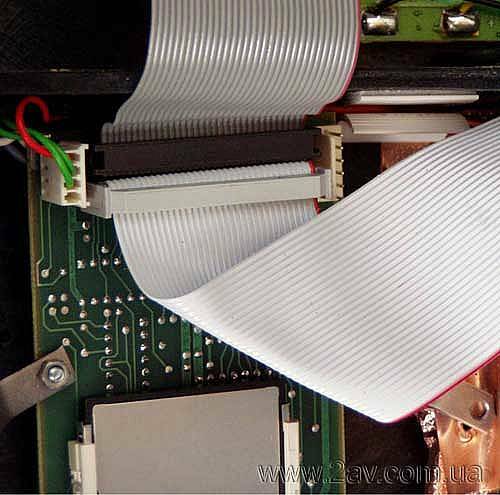 Disconnect the informational flat cable and power cable of the floppy disk. 6. To the orifice indicated on the photo screw the plug of the control panel with the fastener. 7. 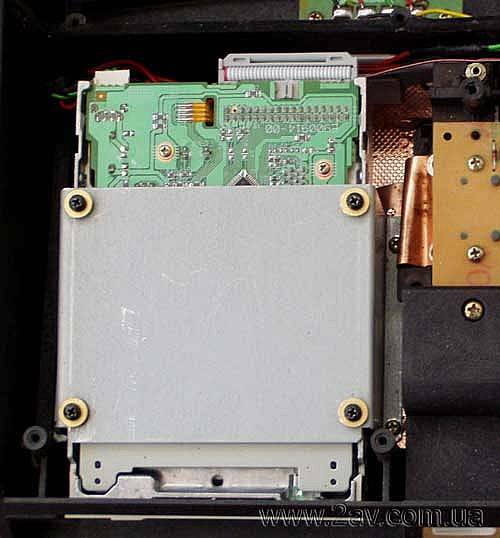 Connect the power plug of the floppy disk, which goes from HDM. 8. Connect HDM to the floppy disk. Connect a signal flat cable. Connect the plug of the control panel. 9. 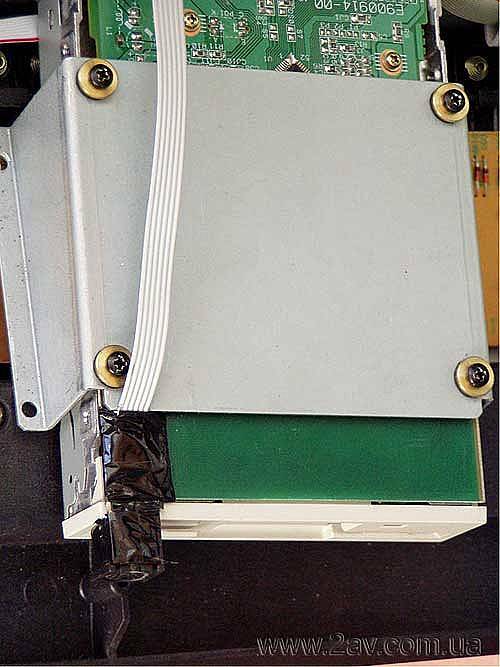 Connect the power cable, which was to the floppy disk, to HDM. 10. 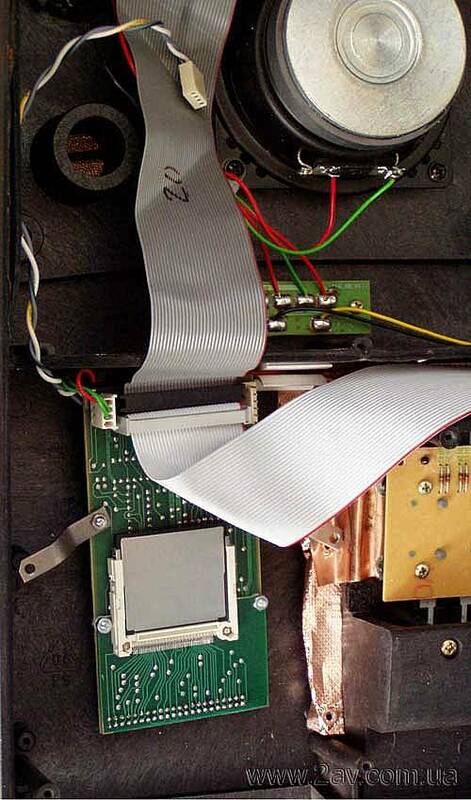 Fix drive with attached to it HDM on the instrument. 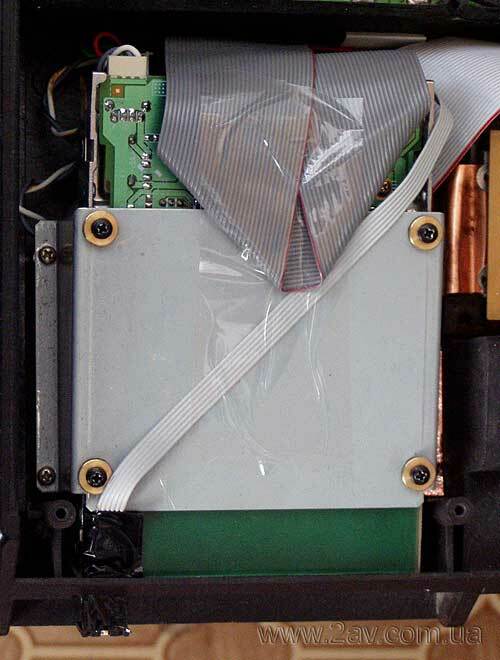 The flat cable is passed under the shielding foil. 11. 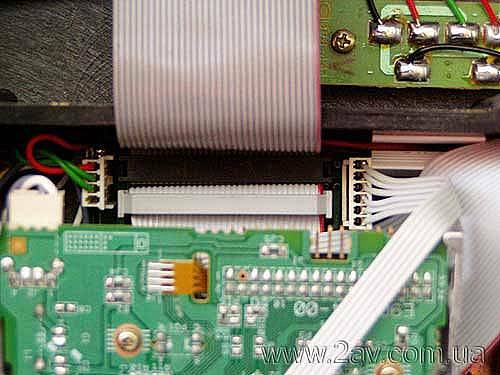 Once again carefully check a regularity of mounting and assembly. 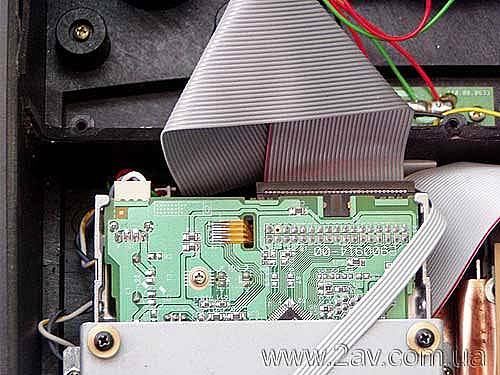 Accurately combine the instrument, overturn it, connect the control panel and check serviceability of the instrument and HDM. If everything is OK then you may begin to screw nuts. 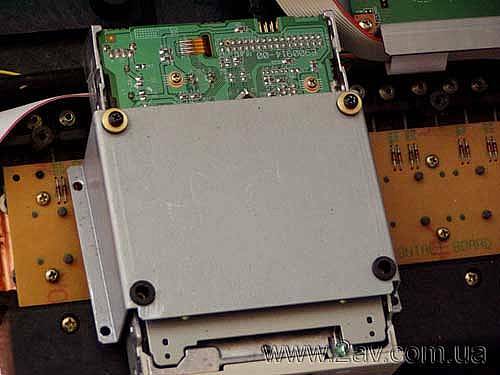 d) the hard disk's space is divided in banks (virtual diskettes). Each bank corresponds to one virtual diskette and has a capacity of 1,44 mb. Their amount depends on volume of the HDM. Number of bank is displayed on the indicator of the control panel (CP) and is selected by CP's buttons. 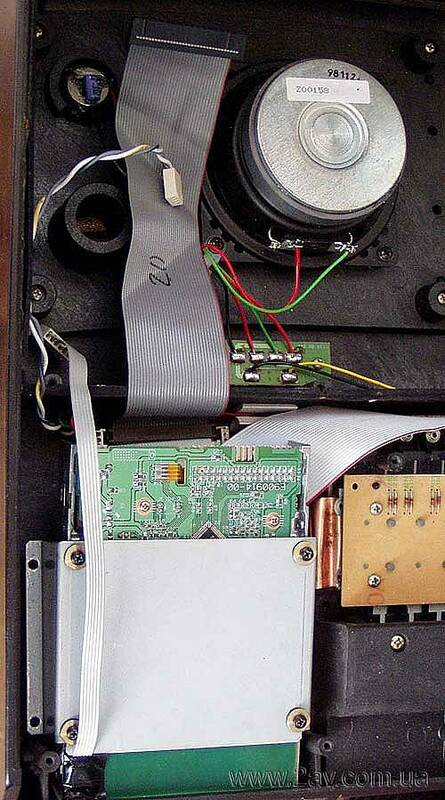 Number 00 corresponds to work with the disk drive of the synthesizer. Numbers 01-ХХ correspond to banks (virtual diskettes). The right button of CP increases number of bank, left - reduces. Simultaneous pressing both buttons - transition to 00. The blinking of the indicator means, that the choice is accepted. Flashing point specifies access to the HDM. After you've switched on CP figures 1, 2, 3 should sequentially light up. It means that devices are ready for operation. 13. Set up and use.